Our knowledgeable and friendly staff are on hand to help answer all of your safety and security related questions. We are open 6 days a week and stock a range of products in store. 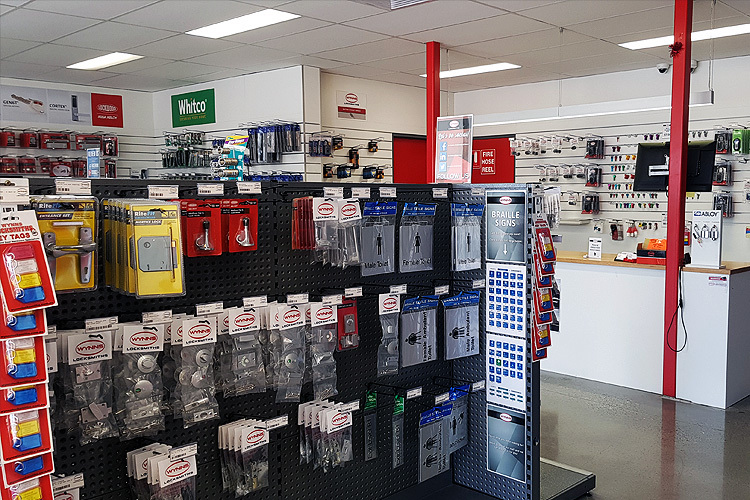 From key-tags and signs, to padlocks and safes, our shop is packed full of speciality items. We are able to cut a standard domestic key for you while you wait, or replace the batteries in your car or garage remote. Interested in finding our more about installing a security camera system on your property? Want to upgrade your home entry with electronic access control? Stop on by and have a chat. Our shop is managed by our professional team of locksmiths. There is always somebody around and available to help you collect the information you require to make a decision about protecting your residence or workplace.